A score of 60% in school or college is the minimum requirement for applying to the undergraduate and postgraduate courses offered by the University. Online Mode: Candidates have to register in the online portal, upload the soft copy of all the relevant documents and make an online payment of Rs.1100/-. Offline Mode: Candidates can download the application form, take printout, fill in all the details and submit/mail to the respective Amity campus, along with all the relevant documents and a Demand draft of Rs.1100/- drawn in favour of ‘Amity Form’ payable at New Delhi. Amity Info Centres: Students can also buy the admission pack directly from one of the Amity campuses or Amity Information Centres by paying Rs.1100/-. After filling the details, the form can be submitted to the campus with the necessary documents. Upon selection, the candidates will be called for the written test and/or the group discussion round, after which the admission offer will be released for the selected students. Applicants who have secured more than 80% in their prior academic performance will be exempted from the written test/GD round. The candidates should write the Amity Joint Entrance Examination (JEE) for admissions into the B.Tech programs. The test will be conducted in April or May and the admit card will be mailed. 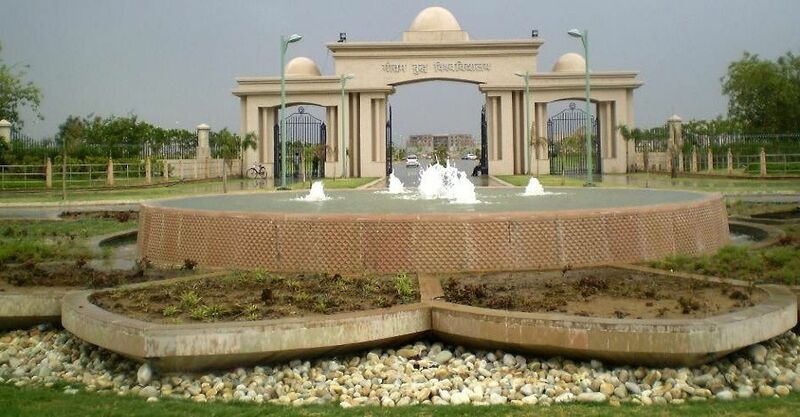 The University has a state-of-the-art modern campus with amphitheatre styled air-conditioned classrooms. They also have spacious syndicate rooms that act as a place for students to discuss, brainstorm, learn and evolve. Once in a year the institution organizes Sangathan; a Sport fest Meet for all the institutions under the Amity University, which brings in students from India, Dubai, New York, California and Mauritius. The sports complex is spread across 15 acres of land with up to date equipments for outdoor and indoor games and also governs the football club, the chess academy, the polo & riding club, and the cricket club. The centre also has a well equipped Gymnasium for both boys and girls. The College also has a student driven Radio Centre. The management of the college is outstanding and supportive they ensure that we get all the facilities which we should have. The college has all the facilities and the best part is the placement. A lot of companies come for placement and there is almost 100% placement. Being a B. tech student, you are required to have atleast 50% in your class 12th and appear for the amity JEE which is the university conducted entrance test. Also the college accepts score of other popular engineering entrance like the JEE Mains. You might also be called for an interview though I did not give any interview. If you have more than 85% in your class 12th you are free from giving any test and will be admitted directly. Amity is an expensive university, my fee for the b.tech was around 10 lakhs. The fee most of the popular courses is anywhere around 5-10 lakhs. The fee of the college is way more as compared to other private colleges. But also it is worth the money spent. If students want to stay in the hostel they have to pay additional fee of around 70k-1.5 lakhs depening on the type of hostel. The exposure provided by amity is the best. It has a dedicated placement cell which is very helpful in the placement season. The college also provides internship to get a beforehand experience of the corporate life. Staying in PGs does not make any sense as the hostel facilities by amity are the best. The rooms are very clean and hygienic. Students have option to go for AC or non ac rooms. The mess provides tasty food. The fee for the hostel is around 1-1.5 lakhs this depends on the room you choose i.e single or sharing. The faculty of the college is very helpful and understanding. They provide us with new ideas and career advices. The teachers are very professional and experienced. We even have guest faculties who come all the way from abroad. I would like a 9/10 for the faculty. There is a lot of scope of extra-curricular activities. Students get to learn of lot of new things. The campus life is pretty great as amity provides a lot of facilities. The infrastructure is very modern and the campus is huge. It is one of the best private colleges in the country and has a lotof branches. The facilities provided are top class. There are so many events happening that is very hard to get bored. Amity fest is the talk of the town. It also allows other colleges to come and participate. The fest lasts for 2-3 days and many famous singers and artists can be seen performing. Various competitions include dance, music, fashion and more. My course is semester wise. Each year we have 2 semesters. 30% marks are provided by labs, viva and 70% for then written tests. The faculties are great here and focus on each students. Amity provides internships. Though it depends course to course. Internship also orovide stipend to studenst the stipend starts from Rs 2,000 and upwards. It tie ups with various leading companies for internships. The college provides scholarships to meritorious students. You have to be a top scorer in entrance test of class 12th to avail it. Though I haven’t availed any, but loan facilities are also provided. My overall experience with amity was great. I got to meet a lot of people and made my friends and memories. The campus of the college is one of the greatest as well the faculty is very understanding. Hardworking students can have fun as well as score good marks. A lot companies come for the placement and you have a lot of options too. I scored 85 percentile in cat and got admission into the college through this. The college also required yiou to clear the GD and pI round. I chose amity as is one of the best pvt mba colleges in india. I would recommend anyone who wants to do an mba from a private college should take admission in this university. The fee for the MBA program at amity is pretty expensive. The fee for one year is around 3.5 lakhs. But the roi is also good as the students can placed in top companies and earn a good salary too. Also the university provides scholarship to meritorious students. The placement at amity is one of the best things. There is a dedicated placement cell which makes sure that the students get proper job opportunities. A lot of companies come for placement and students get a lot of choices to choose from. The average package is around 7-8 lakhs and some of my seniors even managed to grab a package of Rs 15 lakhs and above. Amazon, TCS, American express are some of the companies which come every year. The hostel of the amity is no less than a 5 star hotel. It is very luxurious. Students can get rooms on separate or sharing basis. The food of the hotel is very good and beyond average. Also, the college ensures the safety of the hostellers and nobody without authorization can come in the hostel. The hostel authorities are very strict. For an mba graduate, networking is one of the best things you can do here. The alumni network is very strong and students get to interact with successful entrepreneurs. Contacts are evry important once you passout and thus you should maintain them. The faculty college is one of the best. They provide the required theoretical knowledge as well as practical knowledge. All the faculties are well trained and very knowledgeable. They patiently make us understand the important and difficult concepts. Not just book, they also teach us through case studies and live cases. The atmosphere of the college is very great. Here I got to meet a lot of people from different backgrounds and make a lot of friends. The college ratio is same. There is no kind of discrimination of any kind. It makes you feel alive with contact events, fests, competitions and more. The college follows the semester system and the exam time is very stressful and hectic. There is hardly any leaves in btw exam but you get some leaves for preparation before the exams. For the new students exams occur after 3-4 months from when you join. The college provides internship opportunities to students in various top companies. It depends on the score of the students when it comes to shortlisting the candidates for internships. Some internships have stipend upto 20k some may not pay you but here you get to lean a lot so the money is not a very big issue. The university provide loan as well as scholarship to students. To avail the loan, the candidate should contact the university as I don’t have much knowledge about it. For scholarships, meritorious students get scholarship based on their score. Students need to have good score to get this. Some very bright students even get 100% scholarship i.e almost free of cost education. The college is good. It provides you exposure and the faculty is good. But the management is not disciplined and when it comes placement the college does not hold much responsibility. I got admission into the college based on my cat score followed by a GD and PI. Though it also accepts scores of other management entrance tests like mat, cmat, gmat etc. Students can also take direct admission but have to pay almost double the fee and some basic qualification. The fee needs to be paid semester wise. The per sem fee is around 1.5 lakhs. The hostel fee is an additional 1-1.5 lakhs. The fee is a bit high as compared to the placements provided by the college. More than 85-90% students get placed in companies like dell, ibm, American express, kpmg, delloite, sony and many more. More than 200 companies come during the placement season. Formal trinig is also provided by the college before the placement season. The hostel of the amity are a luxury. It has all the facilities rooms are provided on separate and sharing basis. The fee for the hostel ranges btw 1-1.5 lakhs. The mess food is very good and the campus even has subway, CCD and dominos if you want to have something different. The wifi has great speed and there is a recreation room as well. There is alumni meet where successful alumni come and enlighten us with their insights from the corporate world. They even share their stories when they were at amity. The seniors are like big brothers and there is no ragging done. From the very first day they guide us and help us in any issue we face. All of my faculties were very knowledgeable and senior. They had teaching as well as industry experience which was very helpful as it was different than the usual text book teaching. The batch size is small i.e around 30-40 students and thus the professors can provide equal importance to each student and there is active discussion and class participation. They are available even post college if needed. They even help us during the placement season. 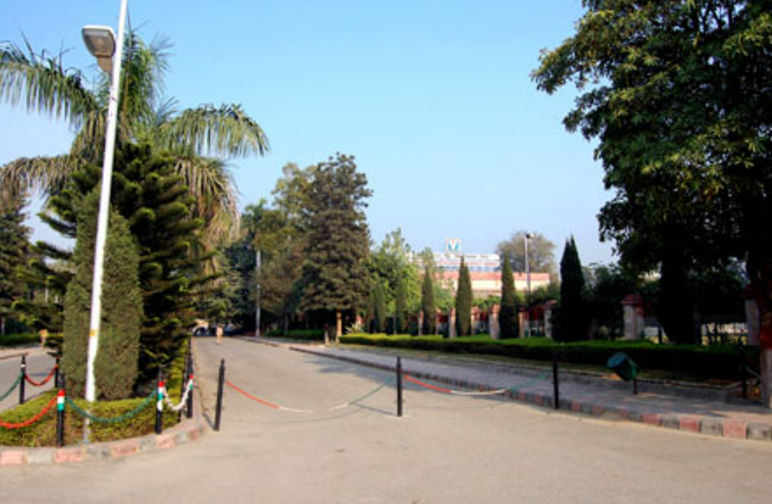 Amity has a huge campus with a lot of students from different courses. I got to meet so many people not only from different academic but also cultural backgrounds. I had a lot of fun with everyone. There is also some event happening in amity. Even celebrities now turn up to promote their movies. It even has intern-amity competitions where students from other amity campuses turn up. The amity fest is the highlight of the college and students from all over the city turn up for it. The college follows the semester system and the exam is divided into mid sem and end sem. Gaps are given between the exams. We are also required to submit projects and assignments on time. Student who have very low attendance are not allowed to sit for the exams. The college has tie ups with various companies which hire us for internships. Most of them pay a good stipend usually btw 5 to 15k. Students can also go for internships on their own. They are great way for exposure and knowledge about the corporate world. The college has an Allahabad bank branch and I think loan facilities can be easily availed from there. Scholorships are based on your class 12th score or your entrance test score. They are quite generous and students need to maintain a good CGPA to maintain them. amity university provides an overwhelming environment to the students with their spellbound hostel life. Amity offers a wide range of courses in their curriculum such as B.Com, B.A. etc. The commerce stream is considered as a good department and the commerce honors could be chosen as a good alternative for CA. the students get placed here with the top recruiting companies such as dell, HCL, KPMG etc. participating in the recruitment process and offering around a 300000 INR salary. The hostels are fairly good in accommodating students and providing mess food. The hostel comprise of AC and Non-AC rooms and can be availed in either sharing or individual as per ones requirement. The hostel fees range to around 800000 INR per year though off-campus PG hostels are for 12000 INR. The University has a well-connected alumni network with friendly and helpful seniors catering to the needs of their juniors. There are core subject teaching professors as well as substitute professors who are well-skilled, qualified and help in doing the needful in solving the needs of the students. The students are given an opportunity to learn from their choice able faculties as 2-3 faculties are allotted for each subject. the campus consist of more than 25000 students with candidates arriving from all over the country i.e. both foreign and non-foreign. They organize road shows, fashion shows and a lot of other extracurricular activities throughout the year. Debates are also held where the winner is awarded with prizes. The exams are held over a month as the syllabus is varied comprising of numerous subjects. Holidays are provided between the exams for a better preparation of the student. The course curriculum is so divided that it comprise of research papers as well apart from the subjects of study. Teachers are allotted for supervising the candidates in these research aka NTCC projects. Each semester has 11-12 subjects on an average. They also organize seminars and presentations as a guide to acquire and exchange knowledge about the subjects between the teachers and the students. Internship is offered to the students for a month during the start of the 5th semester. A choice of company can be selected by the students or they can avail for it off-campus. The internships are mainly unpaid though the college arranges for a call letter. On completion, a certificate is awarded to the student. The College celebrates sports program on the birthday of Mr. Ashok Chauhan who is deemed to be the owner of the university. Also, a 3 day and 3 night Amity Youth Fest is organized every year in the campus.